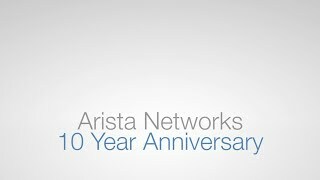 Arista Networks was founded to deliver cloud networking solutions for large data center and computing environments. Arista offers a broad portfolio of Gigabit Ethernet solutions including 1,10 and 40 GbE switches that redefine network architectures, bring extensibility to networking and dramatically change the price/performance of data center networks. At the core of Arista's platform is EOS (Extensible Operating System), the world's most advanced network operating system, designed to build software defined cloud networks. EOS provides a single image consistency across hardware platforms and a modern core architecture enabling in-service upgrades and application extensibility. Arista was founded in 2004, launched in 2008 and is led by Jayshree Ullal. The company was founded by industry luminaries Andy Bechtolsheim, David Cheriton and Kenneth Duda. This seasoned management team has decades of deep experience in networking and innovation. They are globally recognized as respected leaders and visionaries in networking technology. 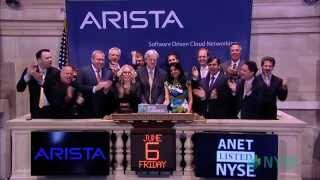 Arista has a prestigious set of customers, including leading global technology companies in financials, web 2.0 and cloud/service providers, building public and private cloud computing systems. 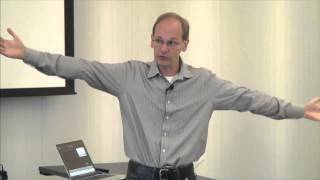 Arista builds scalable data centers for many Fortune 500 companies and delivers products worldwide though distribution partners, systems integrators and resellers with a strong dedication to partner and customer success. 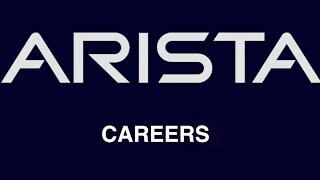 Headquartered in Santa Clara, California, Arista also has offices in Burnaby, Canada Bangalore, India and London, United Kingdom.